How soon after my arrest should I hire a Tennessee DUI attorney? Can I wait until after my arraignment to hire a Tennessee DUI lawyer? Am I required to take Field Sobriety Tests (FSTs)? Are Field Sobriety Tests (FSTs) reliable? Do I have a legal right to refuse a chemical test (blood, breath, or urine)? Do I have a right to select between a blood, breath or urine test when arrested for drunk driving in Tennessee? Do I have a right to consult with an attorney or other confidant before deciding whether to take a chemical test? Do I have a right to obtain my own chemical test when arrested for DUI in Tennessee? I was also charged with a Tennessee Implied Consent Violation. What does this mean? I’ve never been arrested before; won’t my Tennessee DUI just be reduced to a Reckless Driving charge? The officer did not read me my Miranda rights. Shouldn’t my case be dismissed? What is the difference between DUI (driving under the influence) and DWI (driving while intoxicated)? Can I still drive after a Tennessee DUI arrest? If I plead guilty to a Tennessee DUI offense, how long will this conviction remain on my criminal record? Is a Tennessee DUI a felony charge? I hold a Commercial Motor Vehicle Driver’s License? Will this have any effect on my DUI case? My attorney wants to employ a private investigator to investigate my DUI case. Why can’t my Tennessee DUI lawyer investigate the case himself? It is absolutely critical to consult with a DUI lawyer as soon as possible after your DUI arrest. If you wait to consult with and hire a DUI attorney, you take the risk of losing evidence that may be essential to the defense of your Tennessee driving under the influence case. To properly preserve the defenses in your case, a lawyer who is knowledgeable about Tennessee DUI law must conduct a thorough interview with you and begin a comprehensive investigation of your DUI case. Often a person’s arraignment, also known as the initial appearance, is scheduled for weeks or even more than a month from the date of the DUI arrest. Because delays at this stage often help the prosecution, it is imperative that a person charged with driving under the influence or a related offense contact a DUI attorney immediately. Not only is a successful outcome of your case dependent upon an immediate analysis and investigation by a DUI attorney, but one main purpose of an arraignment in Tennessee is also to set the next court date for a preliminary hearing of your case in General Sessions Court. Accordingly, the presence of your attorney at the arraignment is important to ensure that your attorney is available for your General Sessions court date. Tennessee law does not require you to agree to perform field sobriety tests when requested by an officer. Nor is there any legal penalty for refusing a field sobriety test. However, the investigating officer has no duty to advise you of this right to refuse the FSTs. The officer exaggerated or was misleading when describing your performance on the test(s). Yes, in certain instances. Any person who drives a motor vehicle in Tennessee is deemed, by statute, to have given consent to a blood, breath or urine test or tests to determine the drug and/or alcohol content of the person’s blood. State law also provides that an individual can refuse to submit to a chemical test, unless certain circumstances are present. However, as a result of refusal, the motorist could be subject to license suspension, and in some instances, criminal prosecution. No. Tennessee law permits an officer to choose which test or tests to administer when charging a person with DUI. No. In Tennessee, a person is not permitted to consult with an attorney, family member or friend before making the decision of whether or not to submit to a blood, breath or urine test to determine the drug and/or alcohol content of one’s blood. Yes. Tennessee law provides that a person who is given a chemical test is entitled to an additional sample of blood or urine. Keep in mind, however, that the arresting officer is under no obligation to inform you of this right and the sample must be obtained at your own expense. An Implied Consent Violation typically accompanies a Tennessee DUI charge and simply means that you refused to take a chemical (blood, breath or urine) test. Please click here for a more detailed discussed of the Tennessee Implied Consent law and penalties. A common misconception is that Tennessee criminal charges, including Driving Under the Influence, are routinely reduced to a less serious crime, such as Reckless Driving, based solely upon a clean criminal history. It is important to understand that the only reason cases are amended/reduced is when the prosecution believes it may lose the case. 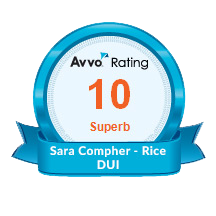 This can only be accomplished following a thorough investigation of your DUI case and extensive legal analysis by a lawyer who is knowledgeable about the complex defenses available in DUI cases. The requirement to inform a defendant of his or her Miranda rights is triggered by an arrest or once the person is placed in custody (not free to leave). If you have responded to the officer’s questions or have otherwise been interrogated when under arrest or in custody, absent Miranda warnings, your Tennessee DUI lawyer may succeed in keeping your answers out of evidence in court (also known as suppressing your statements). You should contact a skilled DUI attorney in Knoxville, TN or the jurisdiction of your arrest to thoroughly investigate your case and determine if the officer’s failure to read you Miranda rights may impact your case. These terms are often used interchangeably in Tennessee and across the country. In the past, a Tennessee DWI (Driving While Impaired) was a less serious offense, carrying fewer penalties. However, a Tennessee DWI for persons 21 years of age or older no longer exists. An individual who is under 21 years of age may be charged with Underage Driving While Impaired (DWI). Please click here for a description of this offense. As long as your Tennessee driver’s license is valid, you may continue to operate your motor vehicle while your DUI case is pending, unless ordered otherwise by a Tennessee judge. Your privilege to drive is typically only revoked following a conviction for Driving Under the Influence or if you are found to have violated Tennessee’s Implied Consent law. A DUI conviction is permanent and will remain on your criminal record forever. In Tennessee, criminal charges may only be removed or erased from your public record if the charge was dismissed. 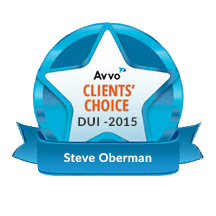 The presence of a DUI conviction can have far-reaching effects. For a summary of these consequences, please click here. Typically, Driving Under the Influence is considered a misdemeanor. However, in certain instances (e.g., 4th or subsequent offense, someone sustains serious bodily injury or death, presence of children/minors in vehicle), the DUI (or related) offense may be categorized as a felony offense in Tennessee. Yes. If convicted of Driving Under the Influence, First Offense, your commercial driver’s license (CDL) will be suspended for one year. After a second conviction, which could occur anytime in your life, your CDL is lost forever. Furthermore, you are not eligible to obtain a restricted commercial driver’s license under any circumstance. Rule 3.7 of the Model Rules of Professional Conduct (Ethical Rules for Lawyers) provides that “a lawyer shall not act as advocate at a trial in which the lawyer is likely to be a necessary witness.” Although this rule also provides a few exceptions, it is prudent for your DUI attorney to not put himself in a position where he may be a witness in your case. Accordingly, employment of an investigator is essential for gathering information that may be used in court, such as witness statements, photographs, measurements, etc.